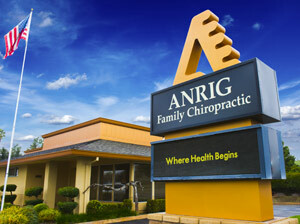 Anrig Chiropractic Offices is located on the northwest corner of Clovis and Ashlan Avenues. Email: Use the Email Us form at the bottom of the page. We are located on the northwest corner of Clovis and Ashlan Avenues. Look for our time and temperature sign and you’ll see our freestanding building with lots of parking and even a bus stop out front.